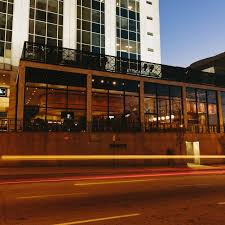 On Wednesday, March 20, 2019, the CHS Georgia Chapter hosted its 4th Annual Hunter Hotel Conference Reception at White Oak Kitchen & Cocktail. Our host for the event was Alan LeBlanc ’84. Approximately 50 Hotelies from across the country attending the conference, and their guests, enjoyed fine food and beverages while networking and catching up. The CHS Georgia Chapter, in conjunction with the Cornell Alumni Association of Atlanta, held a luncheon celebrating the 2019 Super Bowl and Cornell football’s influence on the big game. On December 9, 2018, the Georgia chapter held their annual holiday party at the home of Mark ’77 and Mary Kay Woodworth.